With a certified team of technicians, Mobile Monsters is able to fix 80% of hardware and software problems. The company repairs mobile devices in a short period of time - within a working business day. Mobile Monsters runs a diagnosis on every device to determine how much work is involved. 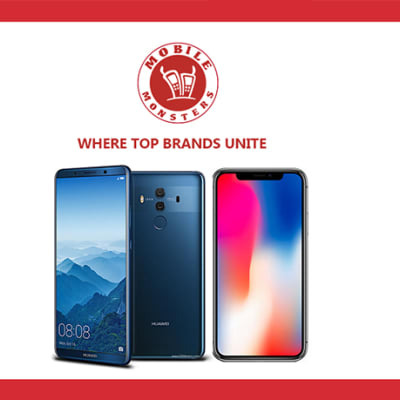 Apart from providing quality telecommunication services, Airtel Zambia offers a wide selection of mobile phones including Apple, Nokia, Samsung and Motorola. The company also has a range of budget Airtel branded mobile phones. Airtel Zambia ensures that all its devices are quality and from reputable suppliers. With a wide array of stores, MTN Zambia is a leading phone and accessories supplier with a goal to provide its customers with quality products. Their stores offer quality, innovative, trendy phones and accessories including smartphones, tablets and modems. MTN Zambia offers a wide variety of top brands. In different models, colours and storage sizes, iStore Zambia stocks the latest iPhones on the market. The store also offers a wide selection of accessories including, batteries, chargers, connectivity cables, cases, screen guards, mounts and headsets. iStore Zambia fits accessories that require professional installation. Zambia Telecommunications Company offers a selection of quality mobile phone brands, tablets, iphones, android phones, 3G wireless routers with 3G dongles. Accessories include blue tooth headphones, mobile cases and charges. This company also has a range of quality and affordable company branded phones. Organise your life and easily keep in touch with a new cell phone, Hazida E-Zone sales Samsung Galaxy and Huawei phones, tablets, smart watches, with the newest technology that make mobile phones more functional. Stores also trade in products that include cell phone cases, cell phone screens, chargers, and headsets. Hazida E-Zone is one of leading dealers in the Zambian market for electronic products that include LED, LCD, plasma TVs, wireless audio systems and high quality home cinema entertainment systems. The store maintains a large chain of retail stores with a total of 11 access points and a team of reliable and professional stuff. Get the latest deals from Bonsai Collection; the store has a wide range of accessories that includes glass screen protectors, power banks, phone batteries, phone covers, back covers, fast chargers, selfie sticks, and headphones. The store is stocked with the latest phones on the market. Telefonika provides quality electronic goods for a variety of applications. 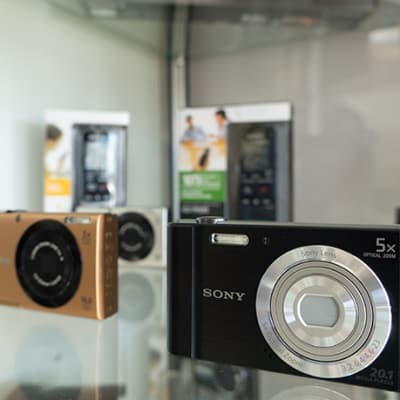 The store is committed to offering you with the most comprehensive range of products including the latest releases from top manufacturers of electronic devices. The store provides an excellent after sales service for all products offered. Telefonika offers a wide selection of computers and accessories including desktops, laptops, printers, scanners, flash disks, keyboards and assorted connectivity cables. The store ensures that it provides the latest in technology and products by bringing in new products as they are released. Telefonika is a major supplier of quality phones and accessories. The store stocks top phone brands including iPhone, Samsung, Sony, Nokia, Huawei and Blackberry. Telefonika also offers a wide variety of accessories such as screen guards, cases, headsets, batteries, chargers and housing units. The iSchool tablet computer goes hand-in-hand with the Zambian primary school curriculum. There are 1000s of lessons pre-loaded, covering the entire syllabus from grade one to grade seven, with the early grades in eight local languages. All lessons are multi-media, with sound and imagery, voiced in English and 8 local languages. Phone House Company stocks quality phone accessories including stylus pens, cases, batteries, external battery chargers, screen protectors, connectivity cables, headsets and power banks. Its team is on hand to help you choose from a wide range of accessories. Phone House is a one-stop-shop for mobile phone accessories at competitive prices. Diplosat Communications supplies quality cell phones and computer accessories in Lusaka. 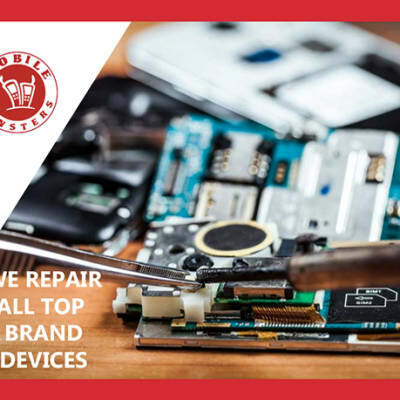 This company has a team of experienced staff that are able to carry out cell phone and computer repairs whilst offering technical advice to clients. Associated with superb customer care and service excellence. A A Electronics supplies the industry with various electronic goods including vehicle safety and lighting, computer equipment, as well as security systems. The company prides itself in selling only the highest quality equipment, including products that are well known in the industry for their reliability. City Centre Suppliers stock a huge variety of items, providing a great choice for their customers. Products include electronic products and alarms to computer and car accessories. Find professional musical equipment, public address systems, LCD and plasma screens, guitars, professional video cameras, brass band instruments.